question or matter, upon which he may be required to act in his official capacity, is punishable by imprisonment in the state prison for two, three or four years, and upon conviction thereof shall, in addition to said punishment, forfeit his office, and forever be disfranchised and disqualified from holding any public office or trust. Bribe has a broad definition under california Law. A bribe has happened when a public offical such as a county supervisor has received money or something of value in return for a vote. What is bribery of county supervisors under penal code section 165 PC? 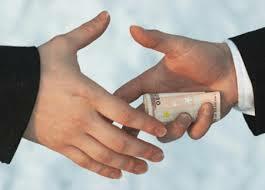 The Penal Code §165 pc prohibits bribes to or by county supervisors and other local government officials. How does the prosecutor prove bribery of county supervisors? 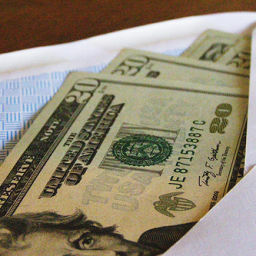 A constituent from Thomas’ (county supervisor) district, mailed a check for $500 to Thomas with a note that said the fee was to incentivize Thomas to set up a private meeting at a coffee shop to discuss placing on Thomas’ agenda an issue that was of high concern to the constituent. The constituent also added that “there is more where this came from!” The constituent could be charged with bribery of county supervisors because he gave/offered the $500 with intent to influence the supervisor’s decision to place an item on the agenda that he would not otherwise place on the agenda. 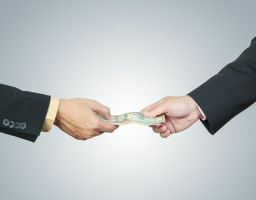 Moreover, the constituent acted with corrupt intent because he used the money to incentivize the supervisor to act in a way that benefits the constituent. James, a county supervisor received $20,000 total in bribes from a city contractor in return for helping the contractor to get business with the county. In this case, both James and the contractor could be charged with bribery of a county supervisor under penal code 165 because both acted with corrupt intent to wrongfully gain financial advantage. Sarah, a member of a public pharmaceutical corporation, sought to reward doctors through “gifts” for heavy prescription of the company’s drugs. Sarah likely could be charged bribery of a county supervisor under California law because she was using gifts to incentive doctors to prescribe the company’s drugs. Who can be charged with bribery of county supervisors? Generally anyone who offers a bribe to any of the officials as defined above with corrupt intent can be charged with bribery. Also any of the members of the supervisory board and other local government officials as listed above can be charged. Moreover, even if the briber does not state specific words and does not engage in specific behavior, as long as the language used and the circumstances clearly show intent to bribe, he/she can be charged with bribery. Additionally, any official, as defined above, who requests or agrees to receive a bribe with corrupt intent can be charged with bribery. How can you fight a charge of bribery of county supervisors? 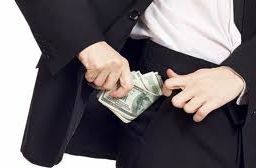 Lack of corrupt intent: because one of the elements the prosecutor has to show is that the defendant had corrupt intent, if you can show that you acted without such intent, you cannot be charged with bribery. Intoxication: voluntary intoxication can be a defense if you can show that as a result of being intoxicated, you were unable to form the corrupt intent that the prosecutor has to prove. What are the penalties, punishment and sentencing guidelines for bribery of county supervisors? The state of California has implemented tough bribery laws, and in consultation with our clients we come up with the most effective defense strategy for your case. If you meet the criteria and the District Attorney’s office indicts you it is imperative that you have an attorney that is able to defend you against these charges. At the Aizman Law Firm, we can help you with questions you might have about the evidence presented against you. If you need to speak to an attorney about your case please call our office at: (818) 351-9555. 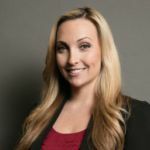 Last updated on August 8, 2017 by Diana Aizman, Esq.